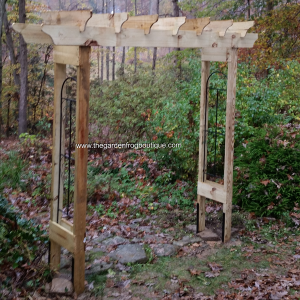 There are plans out there to build garden arbors, trellis, and pergolas but I am here to share with you how to build a rustic 6′ garden arbor for less than $50. 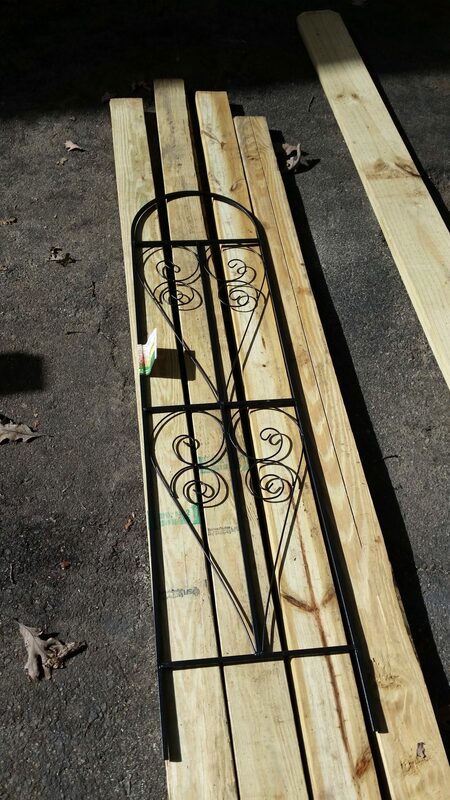 In all reality, this will cost you around $85 to install if you use my method and fence mender brackets I found at Home Depot. This took me a day to cut everything out and come up with the measurements that would work. It took another hour to install. 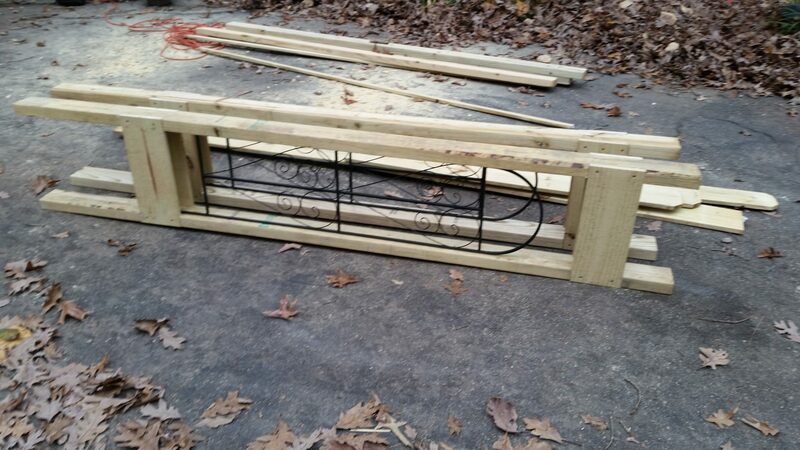 However, now that I am giving you the measurements, it should take less than a day to build and install. 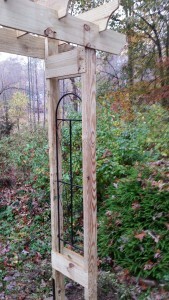 My client/friend loves her new arbor that will eventually be the support for many flowering vines. 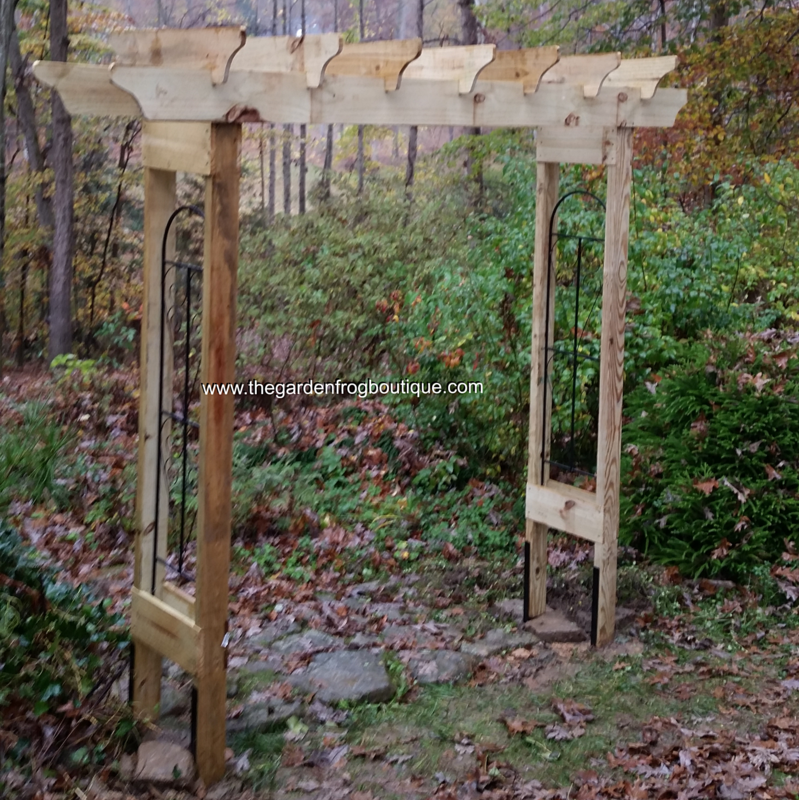 I have a smaller version of this arbor that my husband and I created 2 years ago and it still stands solid as ever. If you do not like the rustic look, then I suggest using decking boards instead of fence pickets. Decking boards will be less expensive (from what I have priced) than treated lumber plus it will give you that smoother wood look. 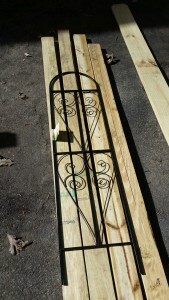 I love working with fence pickets because they are easy to handle and cut plus they are cheap. Oh did I say cheap? I meant less expensive. 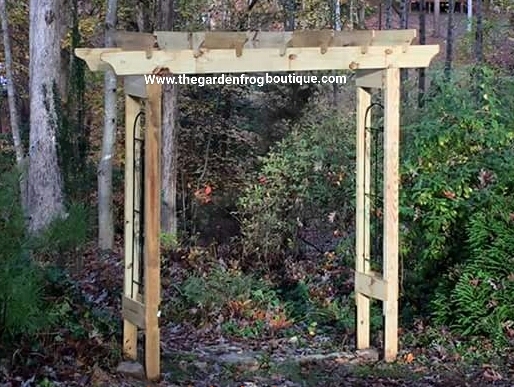 I hope I inspired you to create your own garden arbor. 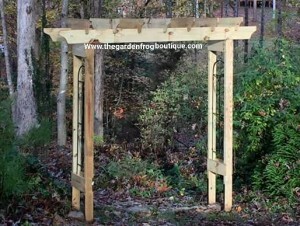 (In my opinion) there is no better way to beckon guests to your garden than through an arbor. Check out the directions and a few pictures with a link to my youtube channel for a picture slideshow of what I did. If you live close, I could even build you one for a fee. Measure 12″ in on the 2- 8′ top boards.